When we get sick, we go to the doctor. If we’ve been hit with a cold or flu, we may be prescribed a few medications that should get us feeling better in a few days. For people suffering from serious conditions, medication may be essential for their continuing health. Cardiovascular patients may be prescribed a combination of drugs to maintain safe blood pressure, cholesterol, and a stable heart rate. Patients with cancer, diabetes, blood clot disorders, and autoimmune diseases rely heavily on medication to manage the symptoms of their illness. Missing a dose here and there may not have much impact on a patient’s health. 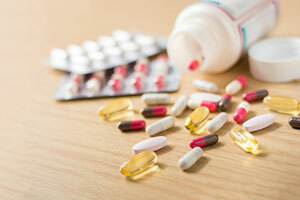 Being without medication for a long period of time, however, could result in a medical emergency. The same is true when people make mistakes when taking their medications. Failing to read or follow the directions can render medication ineffective or cause side-effects. Stomach pains and cramps are common if medication is not taken with food, but should be. As a patient, you should always make sure that you understand how and when you should take your medicine. Another serious issue arises when errors are made when medication is prescribed and dispensed. Doctors that prescribe the wrong dosage, pharmacies that fill prescriptions incorrectly, or hospitals that do not administer medication properly can result in severe medical conditions, even death, for some patients. The Food and Drug Administration estimates that 1.3 million Americans are injured each year by mistakes made with medication. One out of five errors was related to medication prescribed for cardiovascular conditions. If you or a family member has been injured as the result of medication error made by a doctor, hospital, or pharmacy, you need to seek the counsel of a personal injury attorney. Call the Wolfson Law Firm at 305-285-1115 for a free and confidential consultation. Most of us fill our prescriptions at popular pharmacies, such as Walgreens, CVS, Rite Aid, and Publix. Their convenient locations allow us to pick up our prescriptions while we are out running errands or on the way home from work. Some pharmacies offer the added plus of a drive-thru or home delivery. When pharmacies make errors filling prescriptions it can have dire consequences of victims. Failing to make sure that prescriptions are filled with the right medicine and at the correct dosage can cause serious, even fatal, injuries to customers. Medication errors can have an extreme impact on our bodies. Essential organs may no longer function or the victim may become permanently disabled. Lawsuits involving Walgreens and CVS demonstrate the devastating impact that medication errors can have on a patient and their family. Permanent brain damage, organ failure, or other physical or mental conditions may occur when pharmacies do not exercise due care when filling a prescription. Further, incorrect dosages or wrong medication given to pregnant women can result in birth defects or the death of their child. The Wolfson Law Firm defends the rights of victims who were injured by medication errors. We serve clients in Miami, Fort Lauderdale, Fort Myers, Orlando, Tampa, Sarasota, Fort Myers, Florida Keys, Jacksonville, West Palm Beach, and their surrounding cities. If you or someone that you love was the victim of a medication error, contact the personal injury attorneys at the Wolfson Law Firm for help. For a confidential consultation, call 305-285-1115 today.